What makes poor and middle-class Americans feel connected to a millionaire? 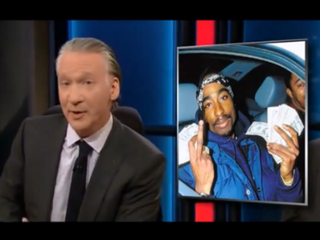 According to Bill Maher, the same desire to be associated with wealth that makes the flashiness of rap music attractive draws Mitt Romney's supporters to him. They feel like members of the 1 percent by association. As the Real Time host puts it, "No matter how clear Jay-Z makes it that the hot tub is only for the coolest and most beautiful people, somehow when the song ends we think, 'That is us … That's how Romney rolls — straight outta Salt Lake. Get equity or die tryin'." Perhaps this theory about the public's impressions of extreme wealth will make the Republican presidential hopeful feel more comfortable about his long-delayed decision to release tax returns this week?